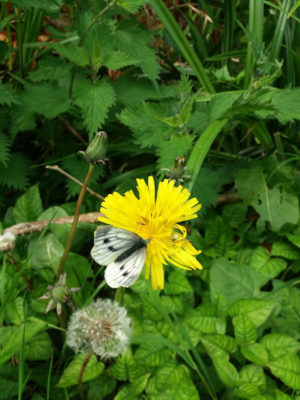 Green veined white butterflies are very common throughout Ireland. Their habitat includes hedgerows, meadows and grasslands. Their favourite food is wild cabbage and watercress. Green veined white butterfly wingspan measures 45 – 52mm.